In recent years, the energy and supply security landscape has begun to change, particularly in Europe. As states seek to diversify their sources and energy mix, oil and gas companies are entering a new phase of innovation and modernisation. One firm undergoing such a transformation is Madrid-based Enagás. For decades, Enagás has been the hallmark of Spain’s gas network. Within just a short period, it has also become a leader in the LNG trade and Europe’s beacon for energy security. European CEO spoke with CEO Marcelino Oreja about how the company’s ambitious strategy for internationalisation has been achieved, as well as its future plans. What are the main drivers behind the internationalisation of Enagás? I arrived at Enagás in 2012, when the process of internationalisation had already started, with projects underway in Mexico and Chile. Enagás has since participated in more than 200 international projects in 63 different countries. The main driver behind these projects is having the leverage of experience as transmission system operators and developers of natural gas infrastructures in emerging markets. In recent years, the position of Enagás as a global specialist in LNG regasification and liquefaction has gone from strength to strength, while partnerships with local groups with complementary skills remain stable, thereby easing predictable cash flows with attractive returns. How has the company’s culture changed over time? Various cultural changes were necessary within the company in order to ensure that its management structure and philosophy were both aligned with the drastic change in strategy. Our new approach involves a growing international network, modernisation, and supporting productive internal collaboration. Our employees now have ample experience of operating in international markets, and have worked extensively with the world’s leading gas companies. In order to provide the best industry expertise to our customers, we have expanded the prospects for internal career development and our ability to attract new talent. How has your market strategy changed over the last few years? From 1969, for over four decades Enagás focused exclusively on the development, operation and maintenance of Spain’s high-pressure gas network. Then, in 2011, when the Spanish gas sector started to mature, we decided the time was right to engage in a process of internationalisation. Within just four years, Enagás has become an international midstream company that is present in eight countries: Spain, Mexico, Chile, Peru, Greece, Albania, Italy and Sweden. Other new opportunities have also arisen, such as bunkering (using LNG for maritime transportation) and reloading vessels with LNG. How is Enagás leading innovation and sustainability? Enagás prides itself on becoming a benchmark for sustainability, good governance, knowledge and innovation in the sector. Our management model, which is based on efficiency, transparency, integrity and creating value through ongoing improvement, has led to our inclusion in the world’s most prestigious rankings, such as the Dow Jones Sustainability Index, FTSE4Good, the 2014 Carbon Disclosure Project Report and European Excellence 500+. We are also leaders in value-added services, such as safety, respect for the environment, and R&D. Additionally, we have adopted best practices for governance, in order to ensure an equal balance of power between our Chairman and the CEO; both positions are perfectly coordinated and defined, so as to allow the smooth running of our organisation. Why are Spanish LNG re-exports so important to the global gas market? Spanish LNG re-exports contribute to an environment of supply security and variety. 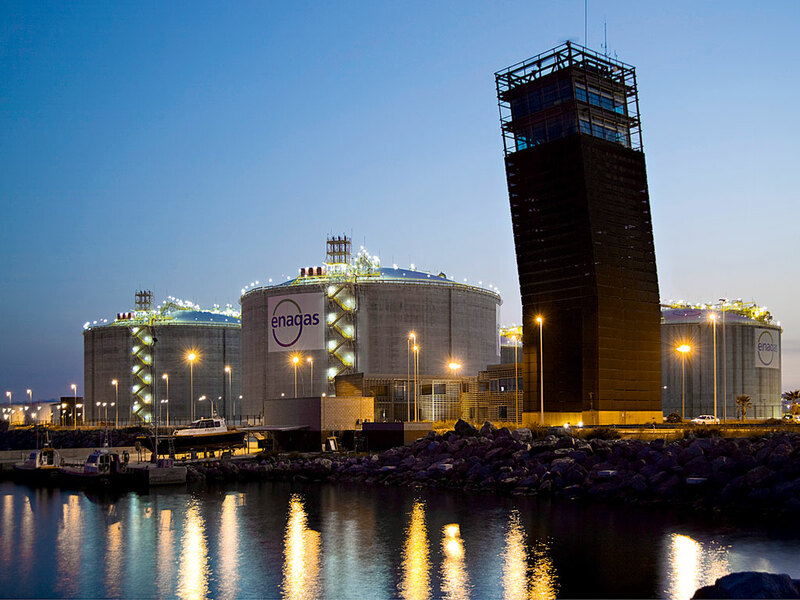 Spain has the highest number of regasification plants in Europe, which have been adapted to meet new market needs, such as LNG reloading and receiving large vessels from all around the world. Furthermore, Spain is already positioned as an LNG landing strip, which enables it to act as both a reception and departure point for gas to and from anywhere on the planet, thus presenting the opportunity for the country to play a central role in the rising stability of European supply. How have you set the benchmark for diversity of supply? Spain has one of the most diversified supplies in the world, thanks to its connections in North Africa and its seven regasification plants. Therefore, the country is in a position to become a bridge between Europe and the main extractors of natural gas. The development of the Midcat interconnection with France further consolidates Spain’s role in the diversification and securitisation of the world’s energy supply. We do not expect to replace the gas supplied from Russia, but we are striving to become a complementary source that guarantees variation. The Trans-Adriatic Pipeline (TAP) project, which will transport Caspian natural gas to Europe and is part of the Southern Gas Corridor, is a good example of how this can be achieved. What are some of the biggest developments in your industry? The global natural gas industry is a growing market that has developed significantly in the last 20 years. Use of gas, which has long been established in OECD developed regions, is now growing quickly and will continue to do so in various non-OECD nations. A main growth driver in the industry is the significant increase in the availability of the resource as a result of the economically efficient exploitation of shale gas reserves since the mid-2000s. Secondly, although gas liquefaction and regasification technology is not new, the LNG trade has experienced a huge development worldwide in recent years. What challenges do you face and how do you hope to overcome them? The macroeconomic situation, which has growing uncertainty and puts pressure on industry margins, is a big challenge that we are currently facing. To combat this, we have undertaken an internal transformation process, in which we are creating more efficient structures and a greater collaborative culture. As an infrastructure company, we have to guarantee returns for our shareholders – not only in the mid term, but also in the long term. In order to guarantee our continuing success, we are working on a long-term strategy that will incorporate industry developments and different scenarios in the coming decades, which we call Enagás 2040. We are also encouraging entrepreneurship through a challenging corporate programme that will be launched in the coming months. Innovation is already an important part of our culture, but we are certain that we can find more new opportunities for our staff and the company through this investment scheme. What does the future hold for Enagás and the gas market in general? Industry experts predict that, for the next 25 years, natural gas will continue to play a key role in the global energy supply. Given the fast growth of energy consumption in non-OECD economies, we envisage that global gas demand will increase by more than two percent annually through to 2020. Taking into account that this major demand increase will occur in regions that are not self-sufficient, expanding infrastructure capacity will be necessary in order to meet both production and demand. As such, Enagás is well positioned to play a leading role in infrastructure development and operations, as it is independent from both production and consumption interests, and so acts as an enabler for harmonising the world’s gas needs.